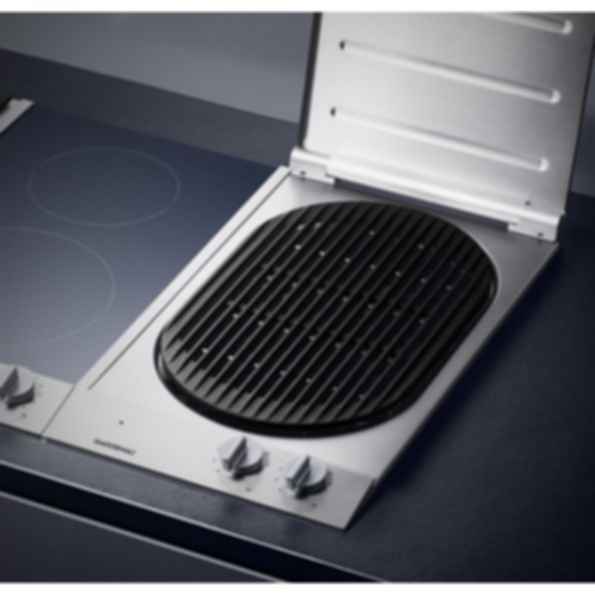 Vario electric grill 200 series VR 230Two independently adjustable zones, an open cast pan support and lava stones allow use of the cooking position for grilling and warming. The grill heating element impresses with an output level of 1,500 watts. A generous control panel makes for convenient and safe operation.